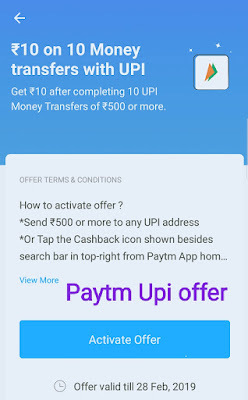 Paytm New UPI offer – today Paytm New Cashback Offer Launched Get Free Rs.10 Cashback Complete 10 transaction. 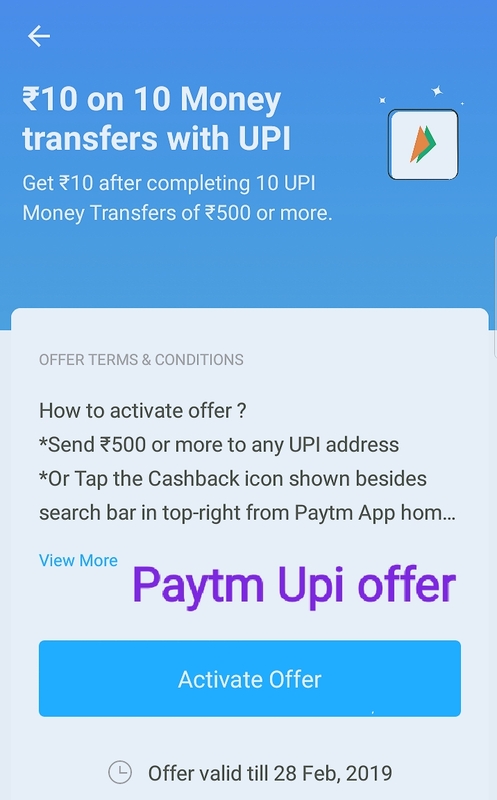 How to Get Use Paytm 10 on 10 Money transfer upi offer. 2.) Now go to Cashback option And Active 10 on 10 offer. 4.) After completing 10 transaction you will receive Rs.10 in your Paytm wallet. * This offer use only UPI Transaction . * You will receive Cashback after 24 hours.